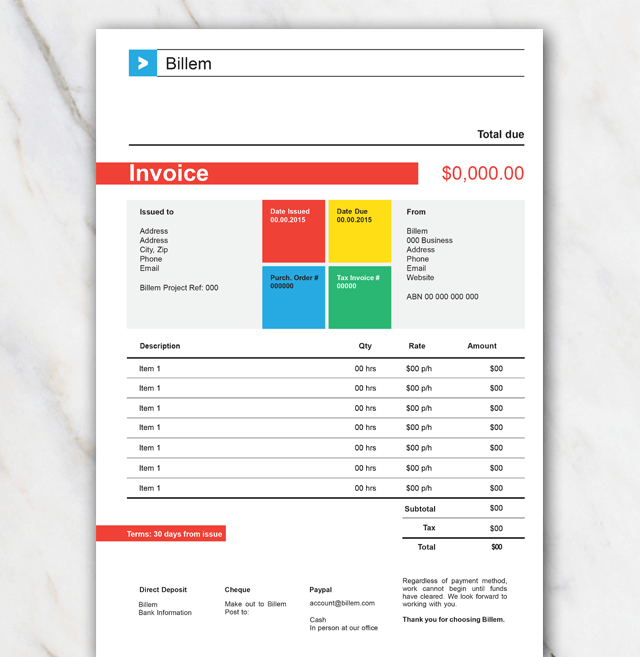 Looking for a bright and colorful invoice templare for Word? Look no further! Make sure you customers pay you after receiving this invoice. Every colored block has its own title ranging from 'Date issued' to 'Tax invoice #'. Looking for an invoice template with less colors? Have a look at the other invoice templates for Word, you'll definitely find something that suits your needs.